"There is an educational cliff we are walking over right this very second." 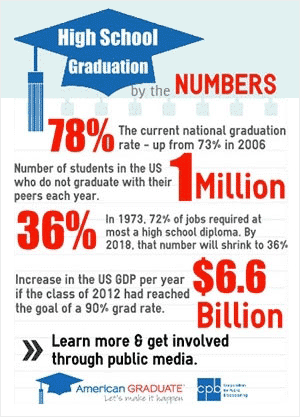 Of the country’s failing public schools in the education system, Geoffrey Canada of Harlem Children’s Zone says, “Enough is enough. So here’s a business plan that simply does not make any sense.” His search for innovation and improvements for children’s learning and lives are manifested in his energetic pacing on the TED Talks stage. 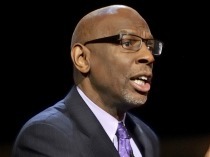 In his 30 years with the Harlem Children's Zone®, Geoffrey Canada has become nationally recognized for his pioneering work helping children and families in Harlem and as a passionate advocate for education reform. In 1997, the agency launched the Harlem Children’s Zone Project, which targets a specific geographic area in Central Harlem with a comprehensive range of services. The Zone today covers almost 100 blocks and serves more than 10,000 children. Using the Children’s Zone® as a model, President Barack Obama created the Promise Neighborhoods initiative to create similar comprehensive programs across the country. Mr. Canada grew up in the South Bronx in a poor, sometimes-violent neighborhood. Despite his troubled surroundings, Mr. Canada was able to succeed academically, receiving a Bachelor of Arts Degree from Bowdoin College and a Master’s Degree in Education from the Harvard School of Education.